Talented sprinter Julius prepared for a return to racing in the Gr.3 Sweynesse Stakes (1215m) at Rotorua on Saturday week with an exhibition gallop at Taupo on Wednesday under regular rider Jason Waddell. “He feels good,” Waddell said. 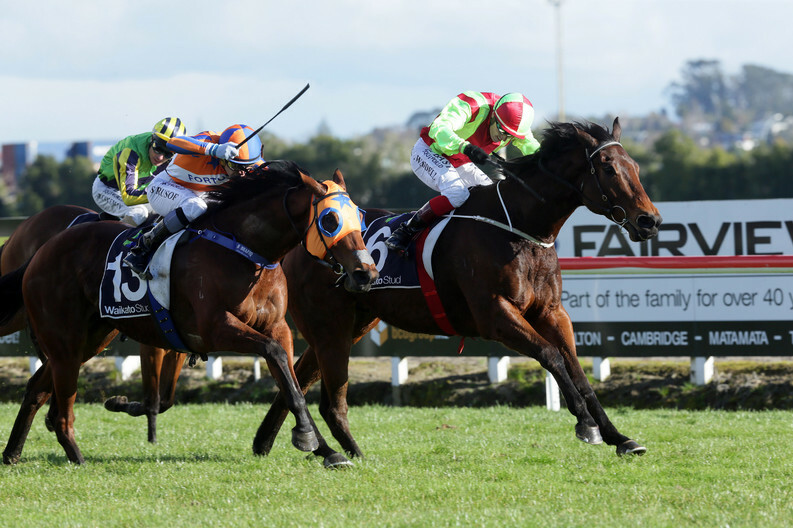 “He is a bit of a big goof by himself and it is his first time at Taupo and it is pretty open and windy, but he ran home really well. Waddell said he was looking forward to riding Julius in feature sprints over the summer and believed he would bounce back from his narrow defeat at the hands of Melody Belle in the Gr.2 Lisa Chittick Foxbridge Plate (1200m). “Melody Belle has proven that she is probably the best horse in the country at the moment,” Waddell said. 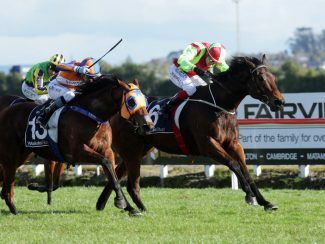 “I knew she was pretty special that day she beat us at Te Rapa as he is a hard horse to get past. She showed her fighting qualities and went on and franked the form. “He is a tough competitor and the last time he got beaten by a nose he came out and won his next four straight. A dual Group Three winner, Julius has won seven of his 12 starts and been placed in the other five.